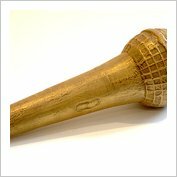 A solid chocolate microphone dusted with edible gold. 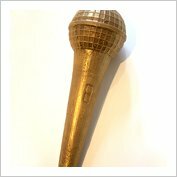 Size 15cm long x 5cm diameter microphone head. Wrapped in a clear cellophane bag and tied with ribbon. 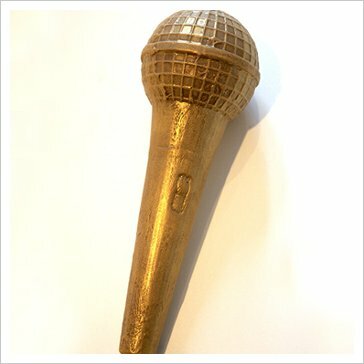 Perfect for parties for the Karaoke King and Queen!